At our Hyundai parts department at our Hyundai dealer serving Madison, we keep an expansive inventory of genuine OEM car parts and MOPAR accessories. Precision crafted, these components are sure to provide the perfect fit for your vehicle. We’ve made it easy to acquire all the quality auto parts you need to complete repairs on your Hyundai from the comfort of your own home. Our team is here to answer your auto part questions, as well as to assist you in ordering new parts. In the unlikely event that your auto repair needs reach beyond our inventory, we can always order parts for you to get exactly what you need. If you know exactly what you’re after, you can order online with our convenient order form. Your request will be sent to our parts department and will be carefully reviewed and fulfilled in a timely manner. If not, our service experts at our dealership can help you find the perfect fit for your car or truck. Our main goal is to make sure our customers get exactly what they need at their convenience, and this includes pieces for the do-it-yourself-ers. Of course, the team in our Hyundai service center serving Madison is always happy to lend a hand when installing new parts or carrying out repairs. Our talented technicians on staff are familiar with the entire Hyundai lineup and the parts and accessories we carry, so we can assist you whether you choose to do the work yourself or at our dealership. If you’ve been involved in a car accident and need a car rental, we can direct you to appropriate auto transport rental companies. 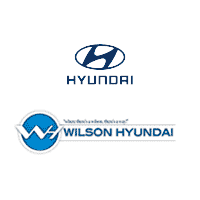 For more information on ordering Hyundai original parts near Madison, contact us at Wilson Hyundai today!